Technical death metal eh? From Canada even? Hork off! Canadians can't be violent! Well, apparently they can be, why else do you think something like the new EP Regression from Anakronis could ever find a footing in that land of maple syrup and snow? The latest glorious exports from the Great White North Anakronis have an unapologetic approach to technical death metal, melting faces and bashing in skulls wherever they go. This band has crazed technical chops and can blare through nearly anything at top speed. 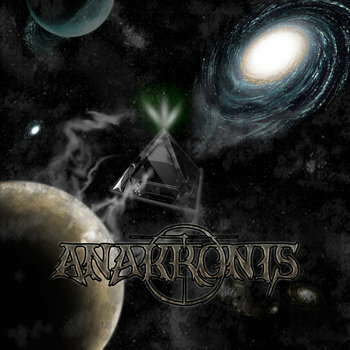 Their attack is unforgiving and their is no relaxing when Anakronis are blasting through your ears. Their approach is pretty unique too with a lot more jazz in it than you might expect and some manic playing that is often very reminiscent of Necrophagist. This groups hectic approach to death metal could even be percieved as a screwed up interpretation of jazz after it has been shot through hell and back by a cannon of unholy steel. In other words, if you're lookign for a technical death metal band who do it differently than most and who can blast your brains out with chops alone check this band out!